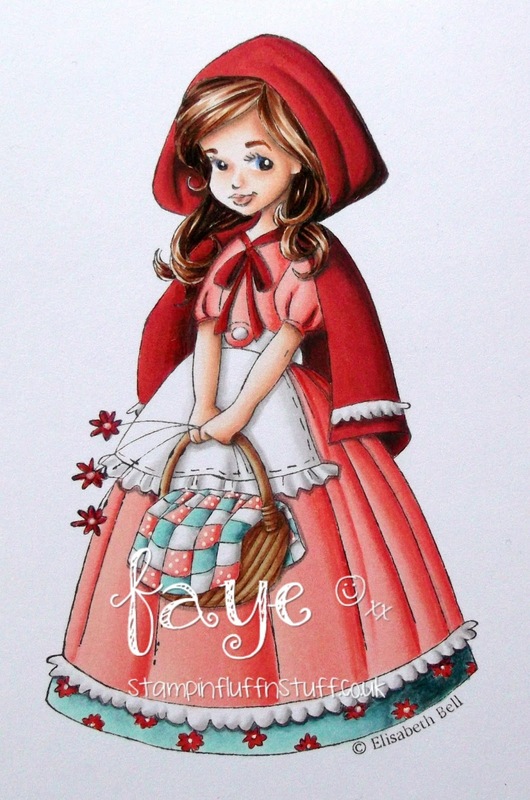 WOWZER this is stunning Faye I love it so much. Gorgeous image and colours Faye! Faye...your talents are truly remarkable. I thought this was a photo at first! Oh my goodness. The colors and details are spot on perfect and the overall effect is absolutely gorgeous. Wow!! Faye, this is a truly show stopping card. Your colouring is exquisite, the reds look wonderful ( well it all looks wonderful but the reds are really striking). A gorgeous image which I have n't seen before, but I really am more than a little smitten! Incredible colouring. Can't say enough about this image. Said it on Facebook but will say again......spectacular. 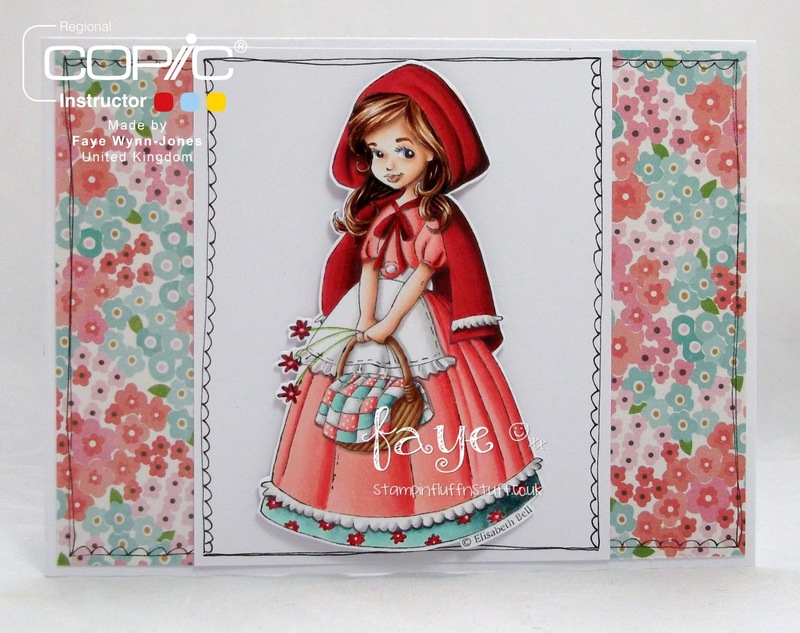 Wonderful colouring as always Fluff... put together with perfect paper to draw out the colours. I think she looks slightly coy about what's in her basket.. wonder what it could be? !